What's the best laptop for running Linux? I want the Wi-Fi to work, the thing to sleep reliably, and so on. In the past I've favored Thinkpads, but would willingly shift to something else if it had better behavior with Linux. Dave Fletcher offers up his annual Top 10 in Utah IT for 2006. Among them are the State's wining of three different eGovernment awards and the fact that Salt Lake City, Ogden, and Orem all place in the top-10 digital cities. While you're there, check out his mashup showing the location of state buildings on Google maps. Now, if facilities (or some concerned citizen) would combine that with data on annual cost of the building to maintain, etc. we'd be getting somewhere. It's fairly easy to follow your favorite blogs when they're updated frequently. I read Dave and Doc in my browser, because I know whenever I visit there will be something new and interesting. Infrequently updated blogs are another matter--that's where RSS is a perfect match. I mentioned Steve Yegge last week. Another infrequent poster who's well worth reading is Steve Gillmor. His most recent Bad Sinatra post is a great example. He can be hard to read--especially if you don't follow tech industry news and trends very closely--but there's some great observations in the post and Steve's spot on. I put a piece about user-centric presence up at Between the Lines this morning. Hope you're enjoying the holidays. Steve Yegge is a great writer. The latest from Stevie's Blog Rants proves it. Take 15 minutes and read it. Yesterday I put another edition of the Technometria Podcast on IT Conversations. This one is Matt Asay and I talking with Rohit Khare. We had a great conversation about decentralization that ranged from the stock market to Nigerian 419 scams. Today I posted another edition of IEEE Spectrum Radio--a panel discussion of the FBI Virtual Case File debacle. This is a case study in how to screw up a software project. Defmacro.org has a small example of Haskell's expressive power and the same code written in Java. Both take five lines of code to "[go] through a parse tree of Haskell source code, locates every reference to an identifier that ends with 'Widget', puts it on a list, and removes duplicates so every identifier is represented in the list only once." Impressive. I believe that Haskell code is a bit more general and defmacro.org argues that it's more maintainable. You be the judge. 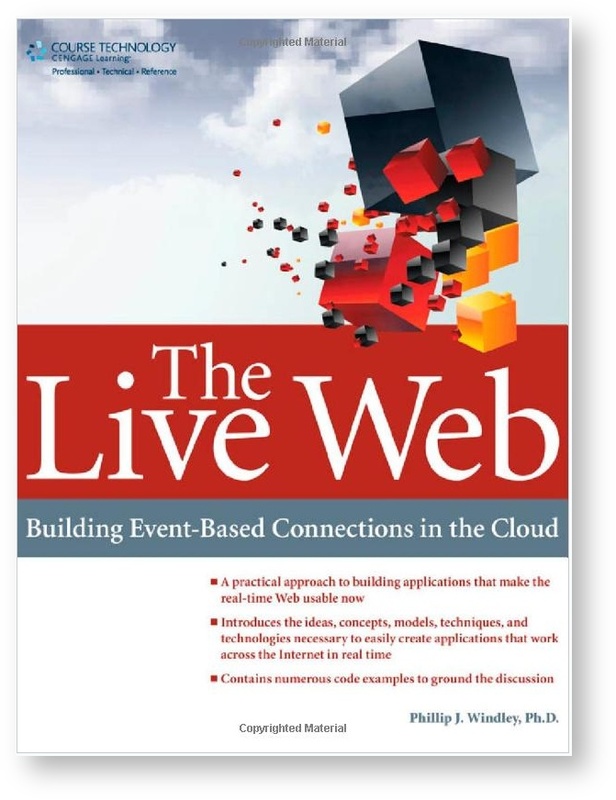 On Dave Winer's blog, I saw a post about Le Web 3. Can you say "le web"? I thought that the language police got mad about non-French words. Is there a French version of "web" (I seriously want to know)? I listened to Jean-Benoit Nadeau on Diane Rhem last week speaking about his book The Story of French. The interview was good and I enjoyed it. Looking on Amazon, I see that Nadeau is also the author, along with Julie Barlow, of Sixty Million Frenchmen Can't Be Wrong: Why We Love France but Not the French. Via Scott Kveton, a link to an OpenID server that uses XMPP authentication (the undelying protocol for Jabber). Fun stuff! This piece about a former Congressman in jail because of Nigerian 419 scams caught my eye this morning. Amazing. It makes me wonder how gullible we all are. Clearly greed is the underlying culprit here. Be sure to watch the video on the black money scam. That was new to me. Anyone want to buy a suitcase full of black paper? I just posted Jim Harper's talk on identity at IT Conversations. 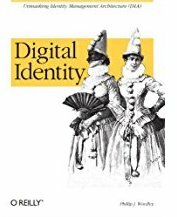 It's a good talk and well worth listening to if you've got any interest in identity and public policy. Unfortunately, we didn't have a mic for the audience, so the Q&A session didn't make it. That's too bad since there was some really good interaction. Getting video from your TiVo to a iPod isn't as hard as it used to be. This hack shows how to do it all on the Mac and have it scheduled to run automatically. Legislation pending in Congress would ban the use of paperless electronic voting machines in the 2008 election. When John Dougall proposed the legislation in Utah requiring a paper audit trail, there were some naysayers. John's looking pretty smart now since his legislation ensured that Utah didn't buy machines it would now have to throw out or modify. Firefox T-Shirt(click to enlarge) Today I was in REI. I had on my Firefox T-Shirt. The guy helping me with flashlights said "Oh, I love that search engine!" Contrast that with this story: When I first bought the shirt my daughter, who was six at the time, climbed up on my lap and asked "Daddy, why do you have a picture of the Internet on your shirt?" Who was more right? I did a session on online reputation (or "computational reputation" as I've taken to calling it to distinguish it from reputation work in other fields). I didn't have time to take notes, but if I find others who have, I'll post an update here. In the meantime, here's the picture of the whiteboard I took and a link to my paper on reputation. Trusted Computing...Sounds Great. Is It? Here's a great little video on trusted computing. Not much on the details, but well done and aimed at a less technical audience. Johannes Ernst has a good summary of the current user-centric identity landscape in his updated triangle diagram.